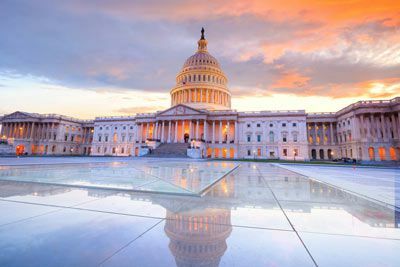 Washington D.C. is the grand capitol of the United States of America. Brimming with historical significance and magnificent monuments to American leaders, heros, and freedom, there’s always something to discover whether you’re visiting for the first time or the hundredth. 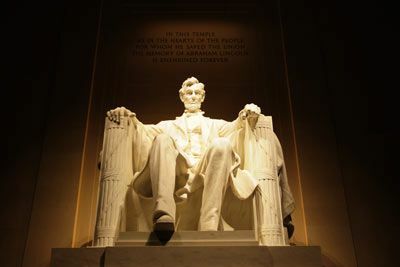 Begin your D.C. tour at the iconic Lincoln Memorial and Reflecting Pool. In its vicinity are Constitution Gardens and memorials for the Vietnam War, Korean War, and World War II. To the east lies the Washington Monument, a sight easily seen from this vantage point as well. 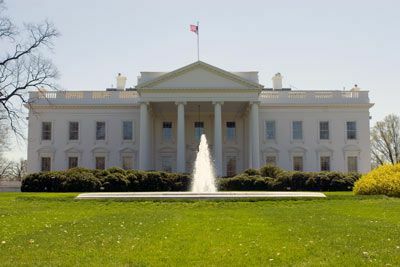 Trek northward to visit The White House, home to the nation’s President. The Jefferson Memorial with its domed and ionic columned colonial architecture is sure to inspire as is the Library of Congress with its multitude of murals and stained glass, marbled facades and high ceilings. Love museums? The Smithsonian simply cannot be missed. Natural history, American history, art, and even air and space exhibits are compiled here in a delightfully massive complex of several museums. Make it a personal challenge to explore it all! 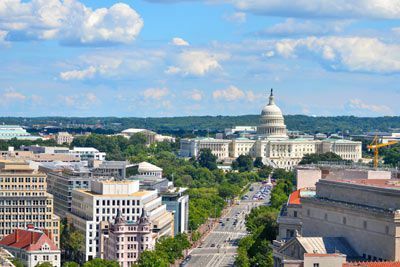 Nearby you can also find the National Gallery of Art, the National Museum of African Art, the National Museum of the American Indian, and more. Beyond history, D.C. offers exciting natural experiences like the Smithsonian National Zoological Park, the United States Botanic Garden, the U.S. National Arboretum, and the Smithsonian Butterfly Habitat Garden. The Westin Georgetown, Washington D.C. Hotel is just steps away from the best shopping and top attractions in Georgetown. This Georgetown hotel combines elegant accommodations with state-of-the-art amenities to allow for the ultimate getaway. Take advantage of the state-of-art WestinWORKOUT® fitness equipment, enjoy the outdoor pool or take a break from the bustle of the city in the hotel's lush courtyard. 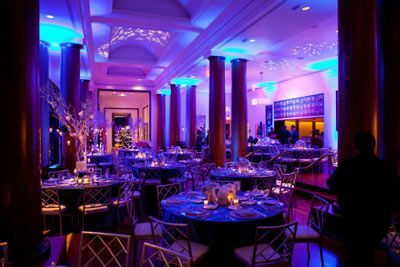 Whether you’re looking for a romantic bistro in Georgetown or tickets to the latest musical at the Kennedy Center, the hotel's experienced concierge staff is happy to help you plan the perfect outing in D.C. Discover the rich history of this capital city with a sightseeing tour that brings you to various attractions on foot, by car, or on a Segway. When hunger strikes, The Caucus Room offers a modern day American interpretation of a French brasserie, capturing the perfect mix of modern elegance and casual warmth. Or, try Bóveda, a Latin Speakeasy with vibrant eclectic music, unique cocktails, and inspired modern Latin American dishes. Diners and imbibers may enjoy various seating areas within the intimate space. 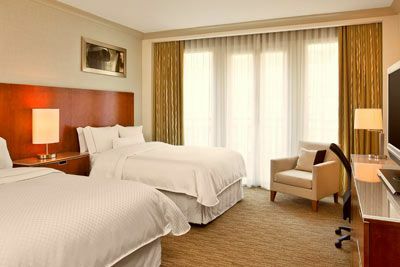 Traditional guest rooms feature floor-to-ceiling windows overlooking the hotel's choice of M Street, 24th Street, or the courtyard, Westin Heavenly® Bed, flat screen TV, Westin WakeCup® Coffee Brewer with Starbucks® coffee, radio/alarm clock, desk, safe and more. 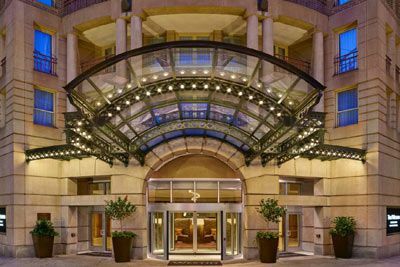 The Westin Georgetown, Washington D.C. Hotel is located approximately 5 miles from Ronald Reagan Washington National Airport (DCA) and 27 miles from Dulles International Airport (IAD). Due to the downtown location, parking is limited and based upon availability. Approximately valet parking Fees: $36 for up to 12 hours; $52 per night. Approximate Self-parking fees: $10 for 1 hour; $12 for 2 hours; $14 for 3 hours; $23 USD until 12am; $42 for overnight (after 12am). Pricing subject to change without notice. 1145 Sleep Endoscopy and Obstructive Sleep Apnea: Can We Have Some Peace and Quiet? 0945 Preoperative Evaluation of the Patient With Heart Disease: What Are the Current Guidelines? 0830 Postoperative Delirium: Can We Reduce the Incidence of POD by Altering Our Anesthetic? Certified Registered Nurse Anesthetists: This program has been prior approved by the AANA for 20 Class A CEC; AANA Code #1036612; Expiration Date 6/29/2019. $100 April 27, 2019 to May 27, 2019. No refund after May 27, 2019; however, 50% of tuition paid may be applied toward tuition for another NWAS program within the next 12 months. Cancellation must be made in writing.